Casper Mattress Review: Is This Mattress Worth All The Hype? Casper mattresses are new and novel, but are they worth the hype? We take a close look in this Casper mattress review to help you uncover which claims are trustworthy, what you should watch out for, and how to determine if this trend is for you. Here’s the first thing you need to know about mattresses: the industry is huge. What, to you, is simply the thing you cover with sheets and sleep on at night is, to mattress makers, big money--an estimated $29.1 billion kind of big. Consumers are buying more beds online than ever before, and buying beds more frequently--every eight years as opposed to every ten years, for example. Is Buying a Mattress Online the Answer? What Makes Casper Mattresses Unique? How Do Casper Mattresses Stack Up? How Does Casper Compare to the Competition? What this means is that mattress companies are competing fiercely for your dollars. Big box makers like Sealy, for example, have traditionally dominated the competition by, in part, being everywhere and carried by everyone. They’ve also employed tricks such as creating different lines for different retailers, making it very difficult for consumers to make apples-to-apples comparisons based on quality and price. Plus, there’s nothing quite as uncomfortable as testing out a new mattress while a pushy salesperson hovers over you. 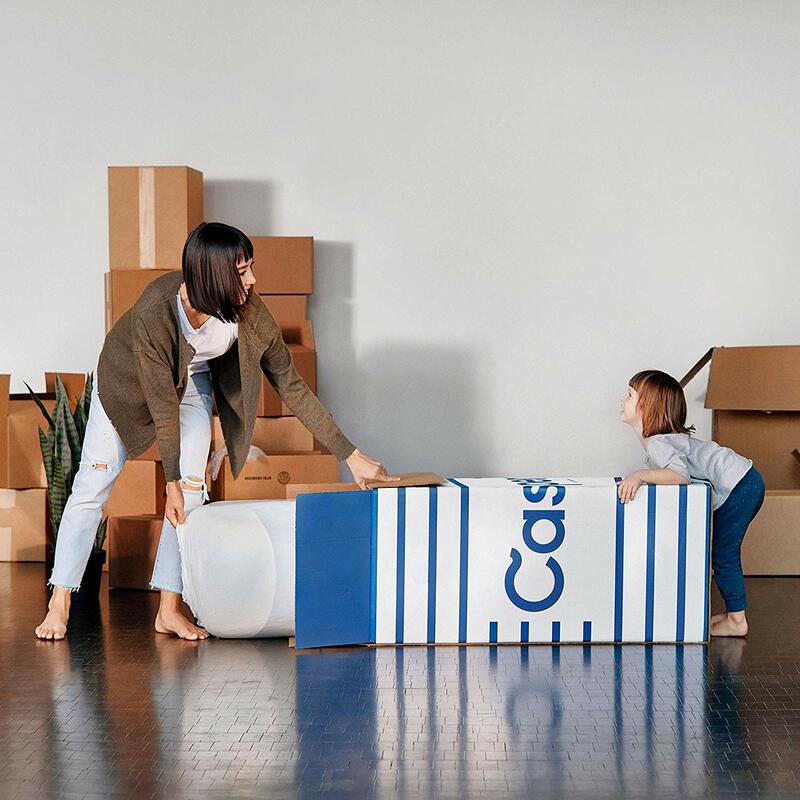 All of this is what’s made Casper so appealing: when the company debuted in 2014, it was the first to offer a foam mattress, available only online, shipped in a box smaller the size of your eight-year-old, with a 100-day money-back guarantee and a ten-year warranty for less than $1,000. Within its first four weeks in business, the company sold $1 million worth of product. Today, Casper offers two additional models, besides its original (called The Casper)--an ergonomic design it calls The Wave and a budget-friendly option called The Essential--as well as sheets, a pillow, a blow-up mattress, and a dog bed. It also has some serious competition from numerous direct-to-consumer brands and giant industry leaders like Mattress Firm. 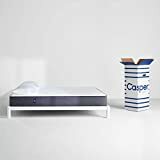 Below is our full Casper mattress review, where we analyze Casper’s products--its mattresses--as well as its buying experiencing and pricing, and compare these three important factors to brands that are high-end, budget, and everything in between. Traditionally, mattresses were made with strong, high-tensile wire that coiled inside a protective (and comfortable) padding. The coils are what gave the mattresses the spring we’re accustomed to. Today, most mid-quality and high-quality coil beds utilize pocketed coils, where numerous coils are individually pocketed so that sleepers can enjoy supportive springiness but don’t shake the whole bed every time they twitch. Memory foam is the other option for mattresses. While the concept itself isn’t new, how it’s being used is; companies like Casper, Tuft and Needle, and Avocado are folding it and vacuum packing it into boxes that ship inexpensively to people’s homes. When they arrive, the customer simply unboxes, cuts open the plastic wrapping and unfolds the bed. After a few hours, the foam has completely inflated, and the mattress is good to sleep on. Some companies (both traditional mattress retailers and bed-in-a-box companies) utilize a combination of springs and memory foam; others include additional materials such as latex for an even more supportive or ergonomic experience. Don’t make the mistake of thinking that memory foam mattresses are one big piece of foam; in fact, they’re made up of numerous layers, designed to be soft where you want a cushy feel and dense and unyielding where you need support, like under your hips. During research and development, mattress companies look for hot spots in how people sleep--side sleepers, for example, exert a lot of pressure on the mattress under their shoulders. If not properly supported there, this could result in waking up sore. There’s also the matter of temperature: memory foam tends to sleep hot, and spring beds tend to sleep cool. Plus, while pocketed coils minimize movement transfer (so you don’t wake your partner with your tossing and turning), traditionally memory foam is far superior. There’s also the issue of chemicals used during production. Some people prefer to pay more for all-organic, all-natural materials; others don’t feel the potential loss of efficacy is worth the higher cost. Casper’s newer and more expensive offering, The Wave, is a truly high-end experience (and about twice the price of The Casper). It has five layers of foam, as opposed to The Casper’s four, and, according to the company’s website, is “the only USA-made mattress backed by the ACA” (the American Chiropractic Association). This mattress is designed for individuals who deal with chronic pain or spinal alignment issues, and thanks to a gel network and 36-pressure point system, that’s exactly what it does (it also has a layer of latex to help it sleep cool). While the affordability of The Casper is a heavy draw, we feel like The Wave might be too big of an investment to purchase without trying first--we’ll get to that more shortly. Finally, The Essential is Casper’s budget-friendly option. It’s about $300 less than The Casper. It has three foam layers instead of four or five, but it doesn’t scrimp on any of the extras Casper is known for: the 100-night trial, the 10-year warranty, or the free shipping. If pricing is the most important criteria to you, Casper isn’t the best choice for you. Even its budget option isn’t exactly what you’d call a budget buy, and you’ll find cheaper options at, say Tuft & Needle or Tula, which offering similar mattresses at much lower price points. While you get the warranty, trial period, and customer service experience at these places that you’ll get as Casper? Actually...you do! While not as well-known and popular as Casper, Tuft & Needle, for example, does about as well in most customer reviews. For less money. Here’s the catch: Casper is making in-store try-out experiences more available, which might make you more comfortable making your purchase. Casper mattresses are of high quality; they are certified by CertiPUR, which is a not-for-profit organization that extends its certification to those products that do not contain formaldehyde, mercury, lead, or ozone depleters. Casper’s foams are also low VOC (volatile organic compound), at less than 0.5 parts per million. While Casper mattresses are better than most when it comes to quality, they’re not the most luxurious (Saatva tends to win on that point) nor are they zero VOC or organic (check out Avocado Green Mattress if that’s what you’re most interested in). Casper mattresses also don’t have tons of bells and whistles; if you want smart features, you’ll need to check out something like Eight Sleep’s Jupiter and if you want a more robust range of options (including foam/coil hybrids that come in a box) that allow you to be more selective about firmness preferences, you’ll prefer a brand such as Purple. We think the people who most appreciate Casper are the people who want things to be simple and easy: they don’t want to pay an arm and a leg, but they want high quality, no weird chemicals, and comfort. Casper delivers as well as or better than most on all fronts. When it comes to Casper mattress reviews, the company isn’t the only one to have racked up thousands of reviews online, but it certainly has the largest volume of reviews. What we find impressive is how high the company’s average star rating is, even given the number of customer testimonials. Reviewers note how quickly their product arrives, how easy it is to set up, and how comfortable it is. It’s also worth noting that even when reviewers write in with issues--the bed is too firm, for example--they speak glowingly of Casper’s customer service. 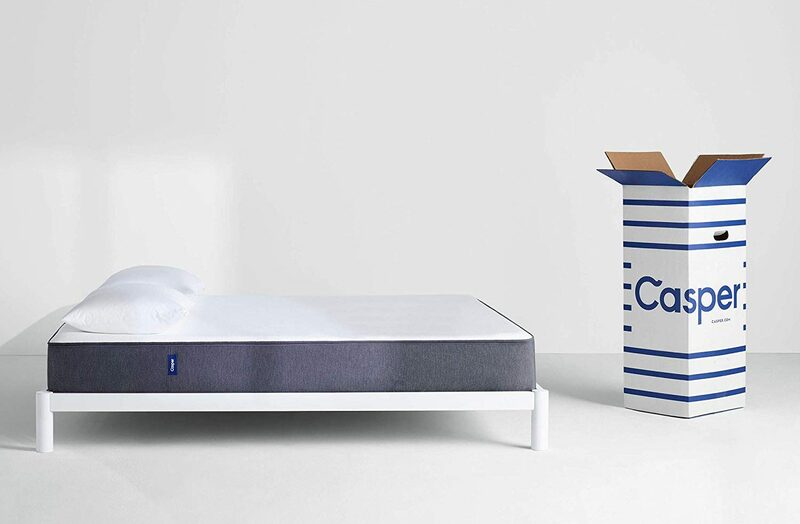 We repeat: you don’t have to put your Casper mattress back in the box! As we alluded to earlier, returns at some bed-in-a-box companies can be difficult. It’s not impossible to get those beds back in their boxes, but it is a pain. Plus, you’ll have to lug your box to a UPS return center (in most cases). Casper, however, does things differently. If you decide to return the product within your 100-day window, Casper will arrange for a local charity to remove your unwanted mattress at no extra cost! We should note: Casper states that they never resell returned mattresses. Instead, they’re donated. There are some companies with longer trial periods than Casper’s 100-day trial (one company offers 365 days! ), but they are rare. Most offer the same period or--sometimes--much less. Casper offers a 10-year warranty and--again--there are companies that offer better, but Casper makes its warranty extremely no-hassle and easy to resolve. Most companies offer less than ten years. We mentioned earlier that Casper wasn’t exactly a budget steal--but make sure if you go with a cheaper option, you’re still getting a solid warranty and trial period. These aren’t things to skimp on when it comes to an online mattress! One of the things that sets Casper apart from other bed-in-a-box competitors is that it is now available to try in stores! Casper currently has eighteen different stores in eleven different states, with more coming soon. You can visit the store just as you would any other furniture store, or you can book a 30-minute sleep trial in advance. You can also try the Casper mattress at select West Elm stores and at pop up shops that occur regularly throughout the country. Finally, Casper sheets and pillows are available for purchase at Target, which allows you to try a Casper product first-hand. We are big fans of the bed-in-a-box, buy online, direct to consumer model because we feel you get a better bed for less money (provided you go with a reputable company that has a track record of making returns easy). That said, returns aren’t completely hassle-free (it’s not exactly easy getting the beds back in those boxes). But if it means not having to shop overpriced retails outlets with less-than-honest salespeople, we’re in, and we think you should be, too. When it comes to our Casper mattress review, here’s the bottom line: there are cheaper beds, more luxurious beds, more organic beds, and bed-in-a-box companies that offer more options. That, in fact, is part of Casper’s appeal: it’s simple. It’s been tried by thousands and thousands of people before you--and most of those customers are satisfied. Plus, if you have concerns about not being able to try before you buy, Casper’s new brick and mortar stores and pop up shops might be just what you need.